The world of network television can be a cutthroat one. You continuously have to bring your A-Game or some other fast-rising wannabe will be drafted to replace you. That is why anyone who has succeeded in the industry, deserves a lot of kudos for their hard work and resilience. One of such persons is Chris Jacobs. 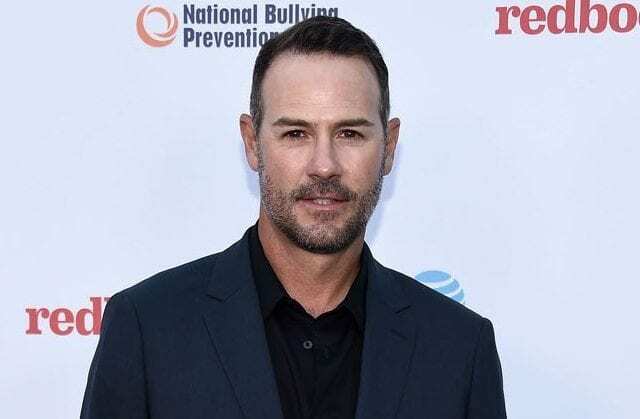 The popular TV personality has hosted several TV shows including Overhaulin’ and Long Lost Family. Find out more about Jacobs here including his height, net worth as well as love life. Christopher Keith Jacobs was born on the 30th of January 1970. He grew up in Glencoe, Chicago, Illinois. He had his education at various schools including New Trier High School Winnetka and Cranbrook School Bloomfield Hills. While in school, he was both athletically and artistically inclined. Chris Jacobs left home for California at the age of 18. While there, he studied the English language at Whittier College. Upon completing his degree, the highly intelligent Jacobs joined the College of Law at the Western State University. He wrapped up his studies in record time and became a member of the California state bar in 1995. Chris Jacobs began his career as an actor in the mid-90s. His very first role came in the 1995 political thriller, Nick of Time. The movie featured Johnny Depp as a widowed accountant who is blackmailed by his daughter’s kidnappers to kill the state governor. He eventually warns the governor about the threat to his life and rescues his daughter. Since Nick of Time, Chris Jacobs has appeared in other movies and TV shows such as Two and a Half Men, Touched by an Angel, The X-Files, CSI, Happily Divorced, 44 Minutes among others. Chris Jacobs began his career on TV with the dawn of the new millennium. In 2004, he was made the co-host of automotive reality TV series, Overhaulin’. The show basically involved the team picking a person’s beat-up car and repairing (as well as remodeling) it. The pleasantly-surprised owner is then reunited with his beautiful car. Overhaulin’ initially ran from 2004 to 2008 during which Jacobs served as co-host. The show was temporarily rested between 2008 and 2012 but has since returned with Jacobs as host once more. Chris Jacobs has also hosted entertainment newsmagazine shows such as Entertainment Tonight and its spinoff – The Insider. The Chicago native has also hosted various sports programs on the NFL Network such as NFL AM and Up to the Minute. Chris Jacobs is neither single nor married, rather he is engaged to a model named Ivy Teves. The stunning Teves was born in the Philippines but grew up in California. She has Filipino and Chinese heritage. Ivy Teves started modelling at the age of 15 and has appeared in photoshoots as well as on the runway. She is also a martial arts enthusiast and has a black belt in taekwondo. She currently serves as an ambassador for World Poker Tour on Fox Sports Network. Jacobs and Teves started dating in December 2015 after meeting on Instagram. They got engaged in August 2016. The lovely proposal took place at Wrigley field, home of the Chicago Cubs. The couple are yet to tie the knot but are still going strong together. Chris Jacobs hails from a large family. Even though his parents or siblings names are not available, we do know that he has three brothers and two sisters. It must be stated that the TV personality was adopted as a child. He was adopted when he was just a year and two months old. Ironically, Jacobs is a co-host of the documentary TV series, Long Lost Family. The show assists people who are looking for their estranged loved ones. The entire process, starting with the estrangement background, the search and the eventual reunion, are documented and televised. Chris Jacob has recounted his own story on the show. He disclosed that he got to meet his birth-mom when he was 22 years old. Chris Jacobs boasts of a tall slim physique which is commendable for a middle-aged man. He is 6 feet 2 inches tall (1.88m) and weighs 181lbs or 82kg. His clean cut good looks is complemented by his dark brown hair and dark brown eyes. There is no doubt that his handsome looks have helped further his career. Chris Jacobs has a net worth of $1 million. His source of income is ostensibly the many TV programs he has hosted. Jacobs has also hosted several live events, especially for the Discovery Network. There is no gainsaying the fact that these gigs must have earned him a reasonable amount of money.